CoilyQueens™ : Help my haircare regimen needs a makeover! Help my haircare regimen needs a makeover! Is it time to do something new with your hair care regimen? Are you tired of not getting the results you want? Is it hard for you to retain length? You spend lots of time on hair forums and researching on Google but still your hair is not where you want it to be. It is time to give your hair regimen a makeover! How does one start to makeover their hair care regimen? You start at the beginning. How often do you cleanse your hair? NO washing your hair more does not dry it out! That is a commonly believed black hair myth. Washing the hair consistently will help your hair stay hydrated longer. Your hair collects dirt and germs daily, so cleaning consistently makes sense when you think about it deeper. WASHING THE HAIR WITH THE WRONG CLEANSERS IS WHAT WILL DRY IT OUT! What products do you cleanse your hair with? You should cleanse with a PH balanced non sulfate shampoo, for normal to mildly dry hair. If your hair is damaged or chronically dry wash with a conditioning cleanser or clay instead of shampoo. What are the steps to your cleansing routine? You should lather twice per wash session in most cases. You should always rinse your shampoo or cleanser out with medium or hot water, this opens your hair cuticle for your conditioning step. 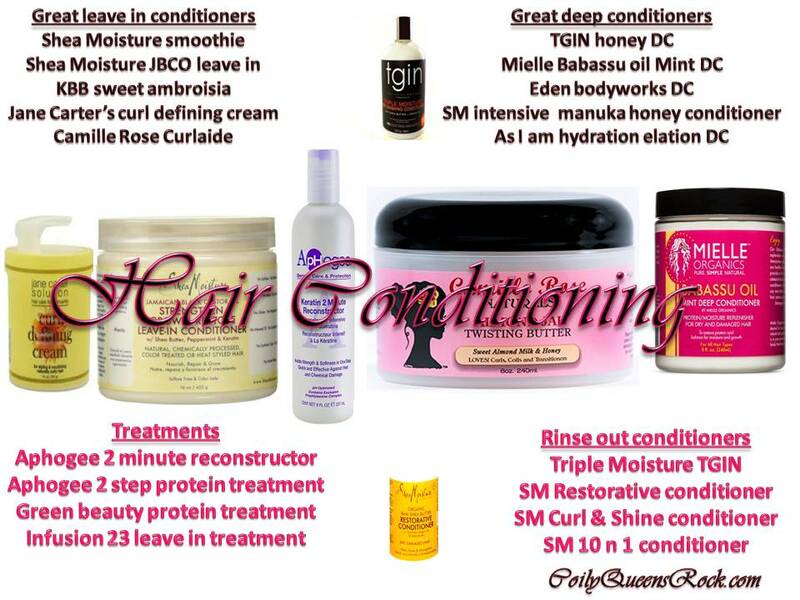 What do you use for deep conditioning? How often do you deep condition? You should deep condition every time you cleanse your hair. You always want to add back the moisture that cleansing takes from your hair. If your hair is damaged or chronically dry, you should always DC. For the first 90 days on the CoilyQueens regimen you DC twice a week. Once your hair gets to a healthier place, you can then do conditioning rinses or regular conditioning. How do you deep condition your hair? Be sure to coat all of your hair really well. Always cover with a plastic conditioning cap (not a grocery bag). Always sit under a hooded dryer or heat cap for 20 minutes. Always rinse your DC out with cold water, this helps to close the cuticle. If your hair is overly porous or chronically dry, follow your DC with a ACV rinse to help your cuticle lay flatter and lock in moisture. Apple cider vinegar recipe right here. What type of leave in conditioners do you use? The leave in conditioner is the most important product in your hair care regimen. Afro hair needs continuous conditioning beyond deep conditioning. Pick a leave in conditioner that leaves your hair soft and moisturized for at least 2 to 5 days without reapplying. If you are on a budget invest most of your money in your leave in conditioner. Only use products which say on the bottle it can be left on the hair. How often do you use a leave in conditioner? Until your hair starts to retain moisture, you apply it daily. Also apply a natural oil to your hair and scalp daily, this will keep single strand knots out of your hair. Check here for a list of suggested leave in conditioners and natural oils. How do you prepare your hair for bedtime? Always tuck your ends away at night, this will keep your hair from drying out due to the heat in our homes, and it will keep your hair from tangling during the night as you toss and turn. If your hair is very dry apply just a little leave in conditioner to your hair before bedtime. Always cover with a satin charmeuse bonnet to lock that moisture in and keep your style neat. What do you cover your hair with while you sleep? Satin Charmeuse is a particular type of fabric which hold moisture in your hair better than other fabrics. How often do you give yourself protein treatments? If you are trying to grow your hair to bra strap length and beyond you will need to strengthen you hair to keep it from breaking. If you have a hard time retaining length, fine hair, hair which breaks easily or relaxed hair you should do a Aphogee 2 step treatment every 4 to 6 weeks. What type of protein treatment is the best? 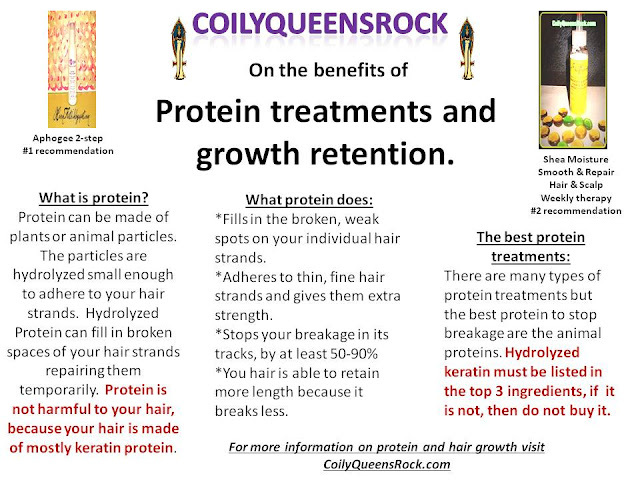 You want to use a protein treatment that has hydrolyzed keratin protein in the first 3 ingredients. 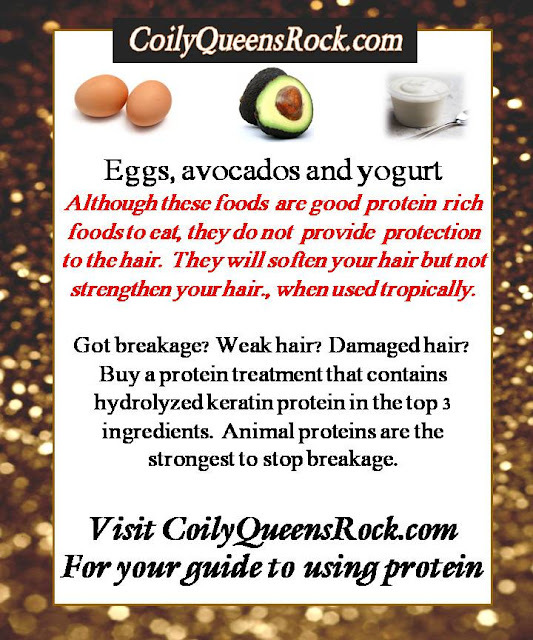 This type of protein will adhere to the hair strands and fill in broken spaces in your hair strands. All other proteins are weak in comparison to this one. 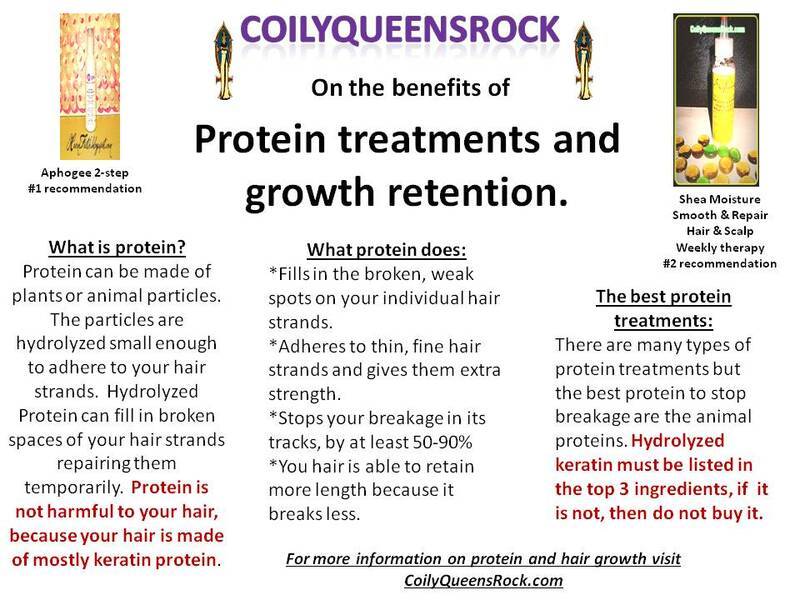 Find out more about protein treatments here. Once you have gone over the questions above, you redesign your hair regimen to fit with each answer. After you have successfully made the proper changes to your hair regimen and implemented the changes you should see a big difference in your moisture levels in 2 weeks or less. The longer you consistently implement the suggestions the better your results will be. You will notice your texture is softer and you start to retain more length. You will also notice that you use less product on a daily basis. Once you have been loyal to these changes then you can add some of the growth rate increase exercises you will find here. Trimming during New Moon INCREASES hair growth.